Are you young and just commencing your career? Are you a single mother? Are you half-way through life and looking to collect a nest egg for your retirement while you meet your current commitments? Are you in your golden years, catching up with all the hobbies you never had time for before? Irrespective of what stage and situation you are currently in, you must have a financial plan to ensure that your finances facilitate your aspirations. More importantly, this financial plan must reflect your unique personality and circumstances. This book contains real-life, money-related stories of 10 people, from diverse backgrounds. The stories reveal the unique set of backgrounds that they come from and the varied situations that they have gone through. 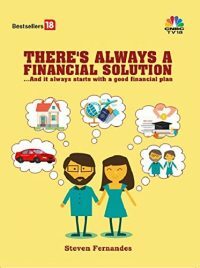 Each of them has distinctive financial goals and the author tries to offer solutions that could meet their various financial aspirations in life. The stories and solutions are certain to reflect some similarities to your own lives and provide you with a framework that enables you to manage your own money towards achieving your goals. Each story is presented in the form of a case study and provides some life changing learnings, enabling a reader to benefit from the book time and again.